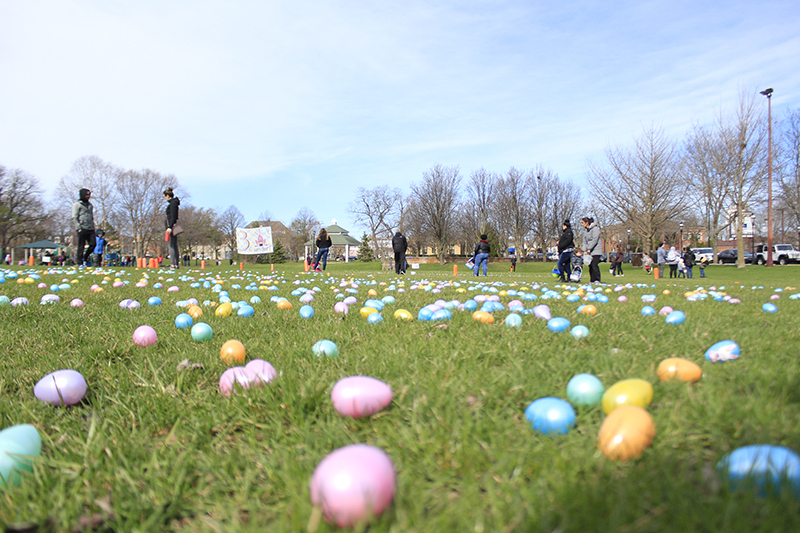 The field of eggs is ready for harvesting by local youngsters. 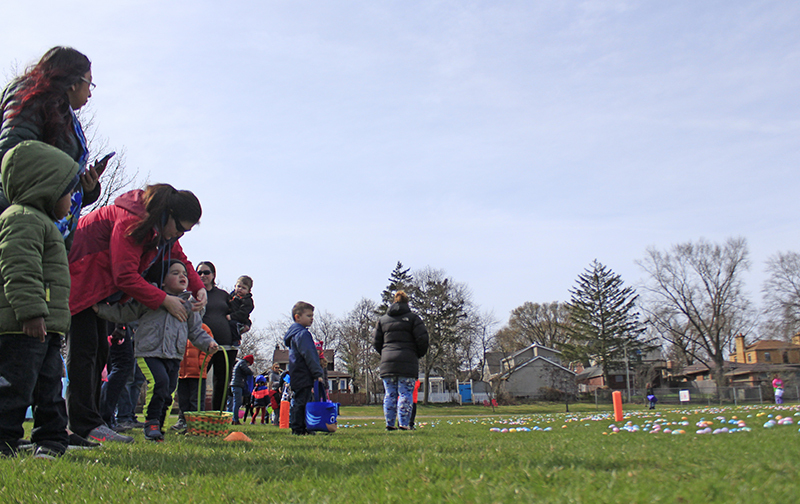 Getting ready for the countdown. 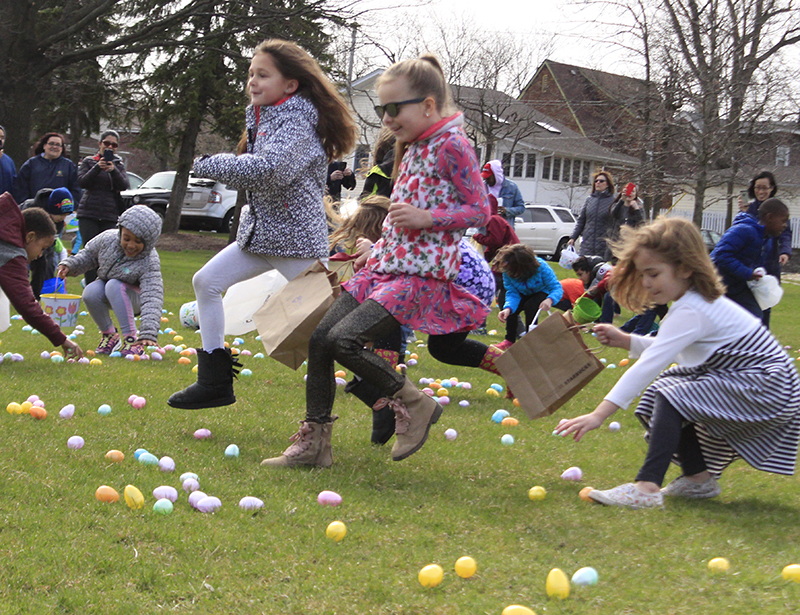 Braden Baczynski of Homewood dances while waiting for the egg hunt to begin. 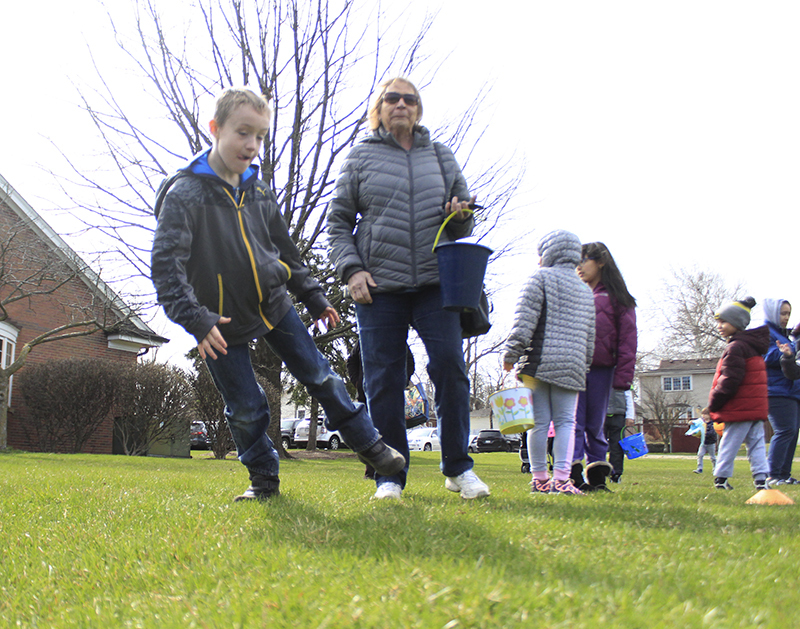 Braden was accompanied by his grandmother, Lynn Glodkowski. 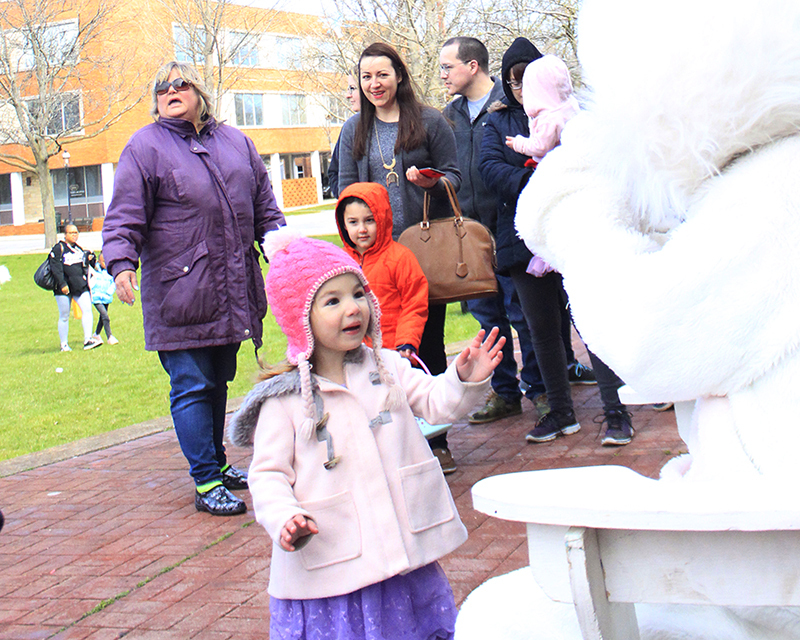 The Easter Bunny arrives, a sign that the egg hunt is about to begin. 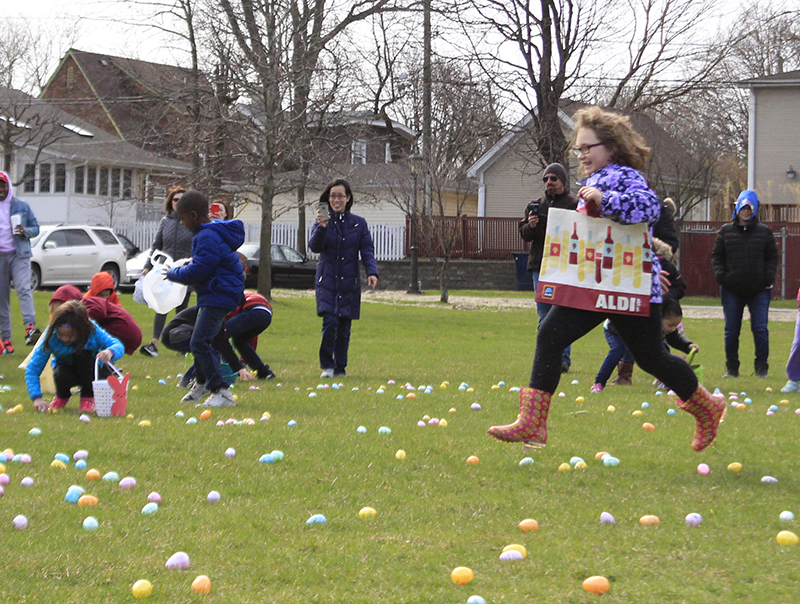 Alexa Recendiz, 5, of Homewood files away an egg while scanning the terrain for her next target. 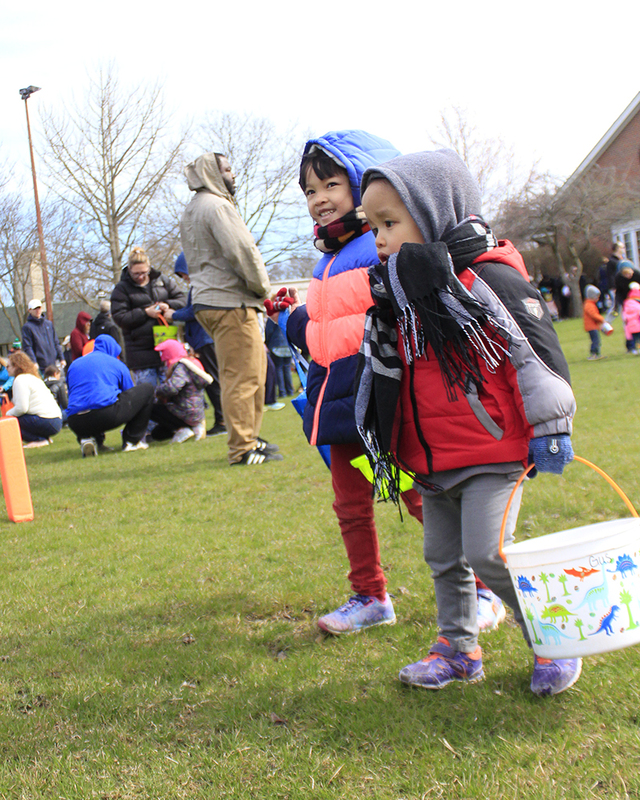 An Nhien, left, 5, and Minh Hkoi, 3, of Chicago bring their egg haul to show their parents. 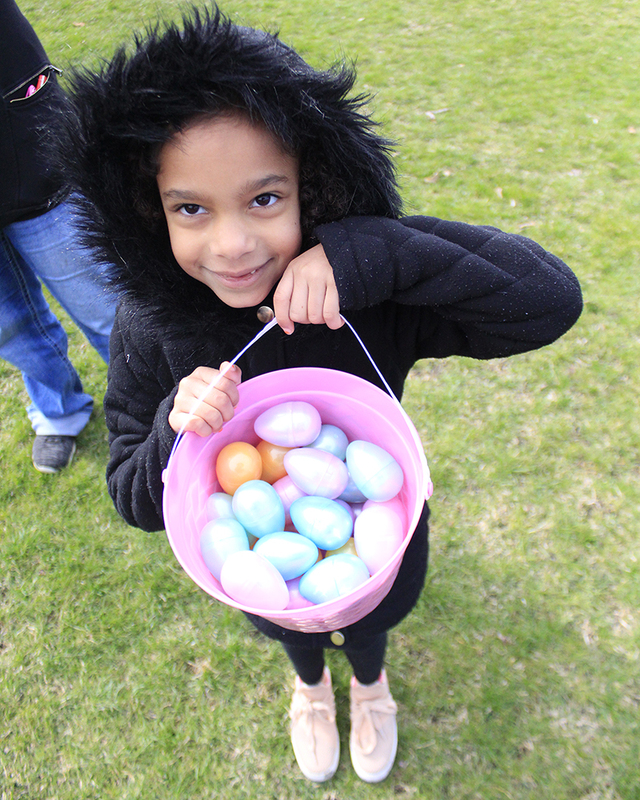 Riley McDaniel, 6, of Glenwood, shows her egg collection. 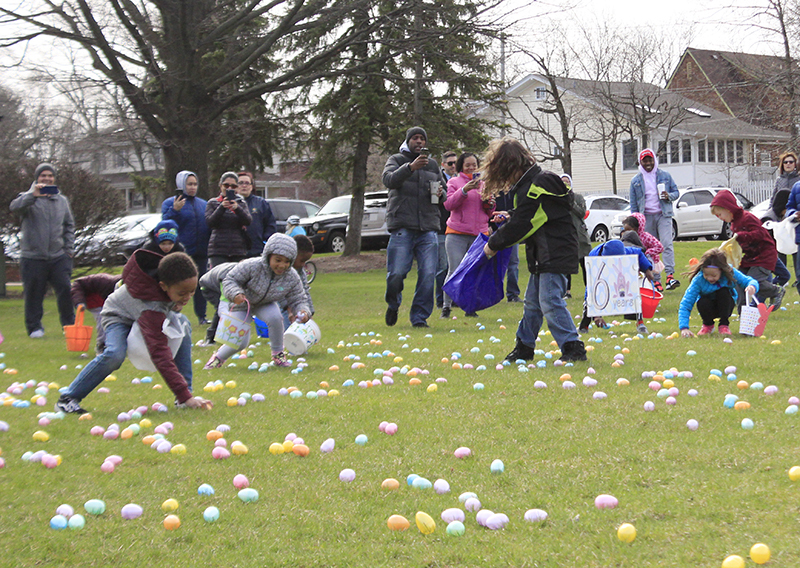 She was at the event with her mother, Terea McDaniel. 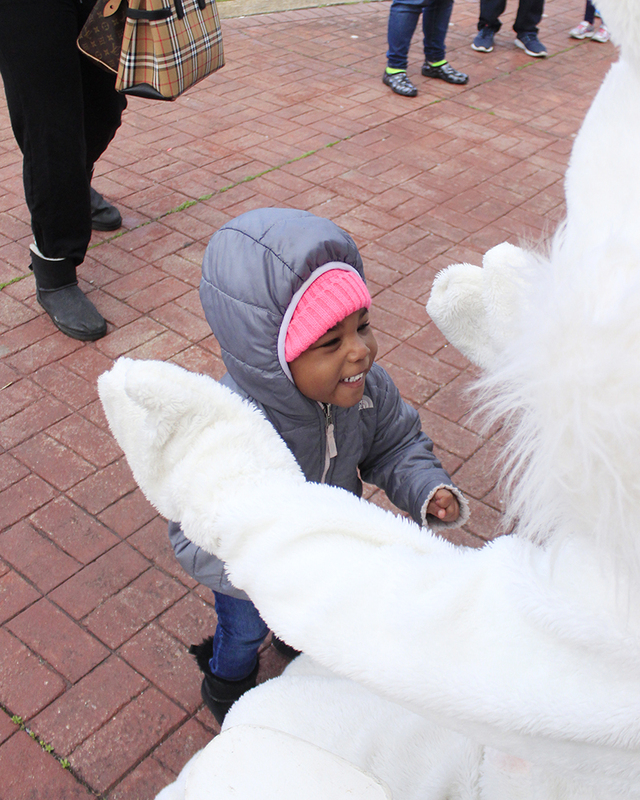 Jaide Lewis gets ready to give the Easter Bunny a big hug. 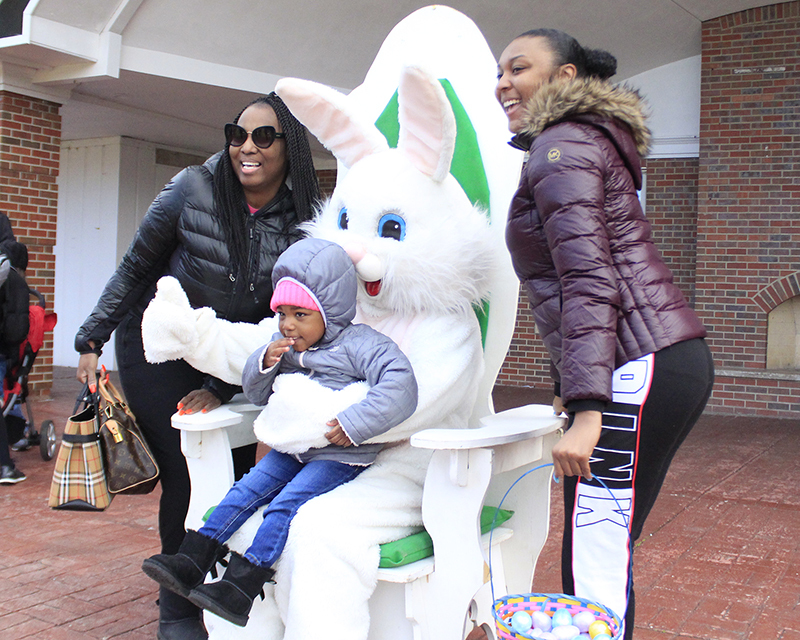 From left, Jackie Lewis, Jaide Lewis, the Easter Bunny and Jamea Zilanis. 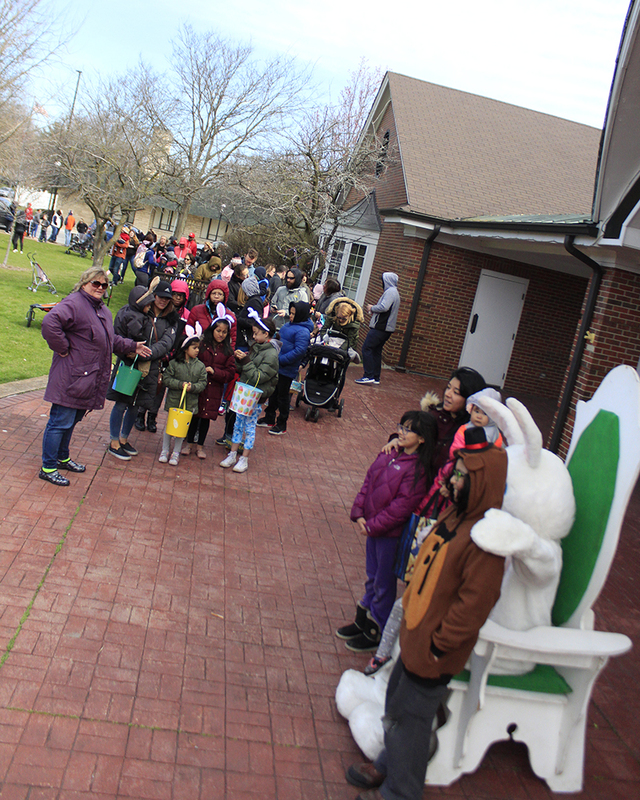 The line to get a photo with the Easter Bunny stretches almost to Ridge Road. 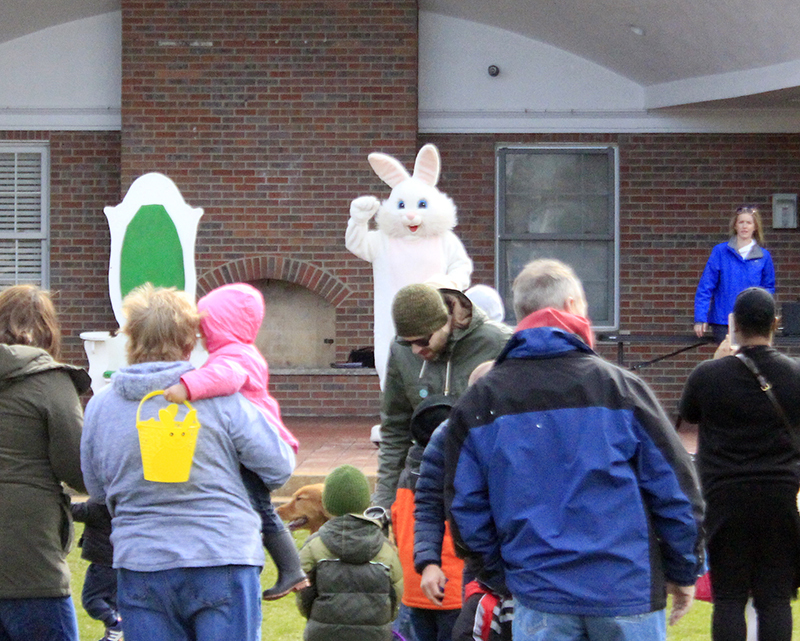 Quinn Danadio waves to the Easter Bunny. 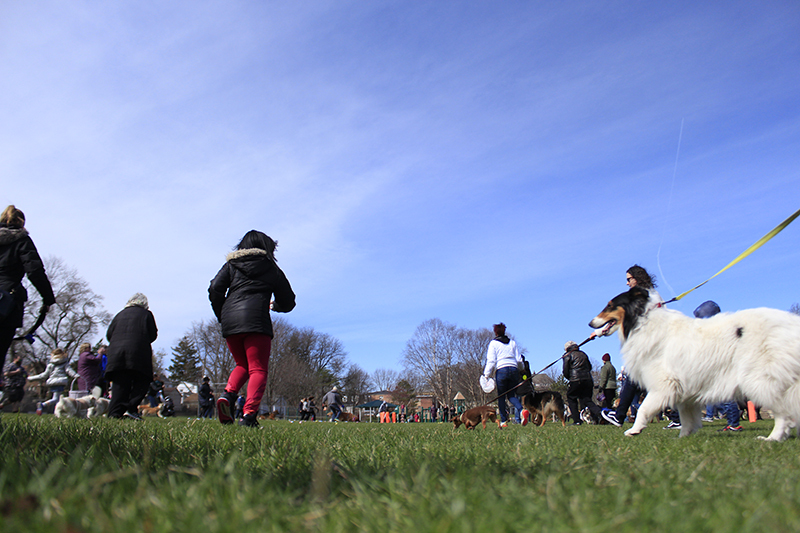 Kathryn Caccamo, left, watches while Rory and Timmy Zarlengo pet her dog, Cooper. 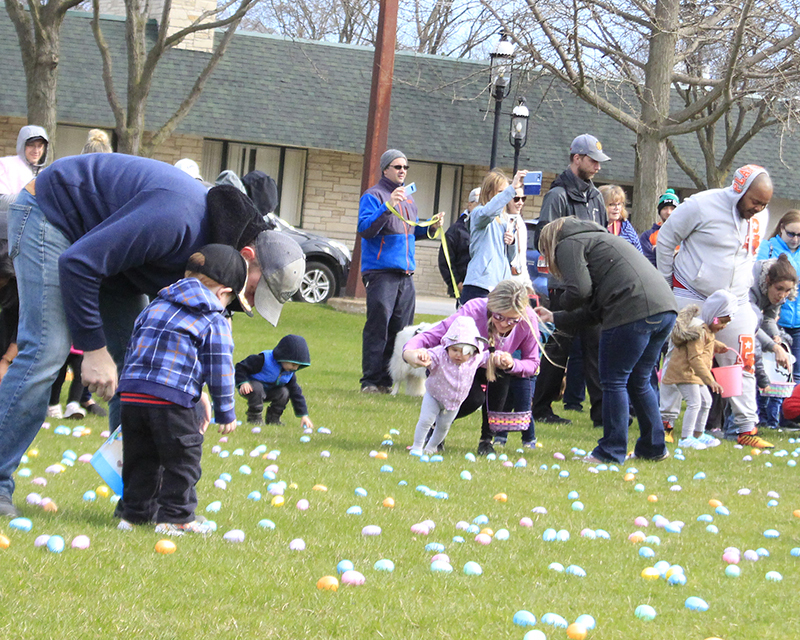 The Lucky Dog Egg Hunt begins. 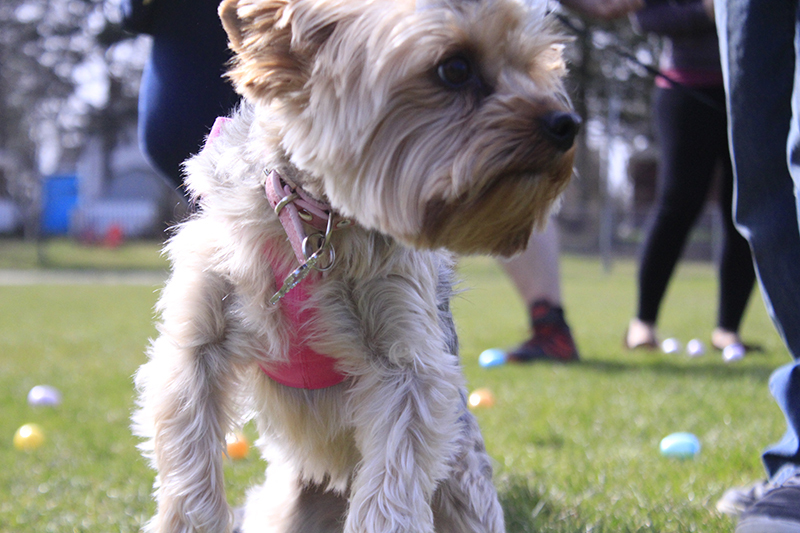 Mari, a rescue, looks for eggs. 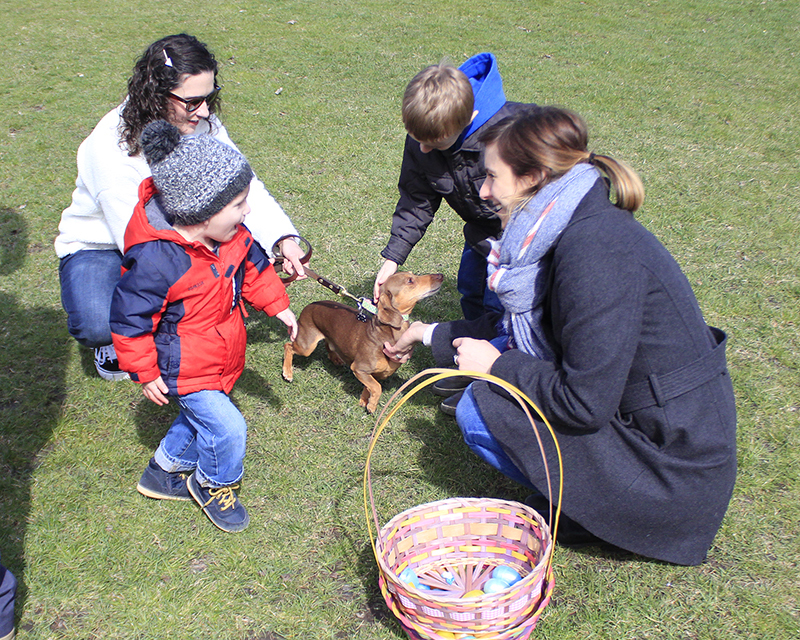 Mari was with her owner Marilyn Santana. 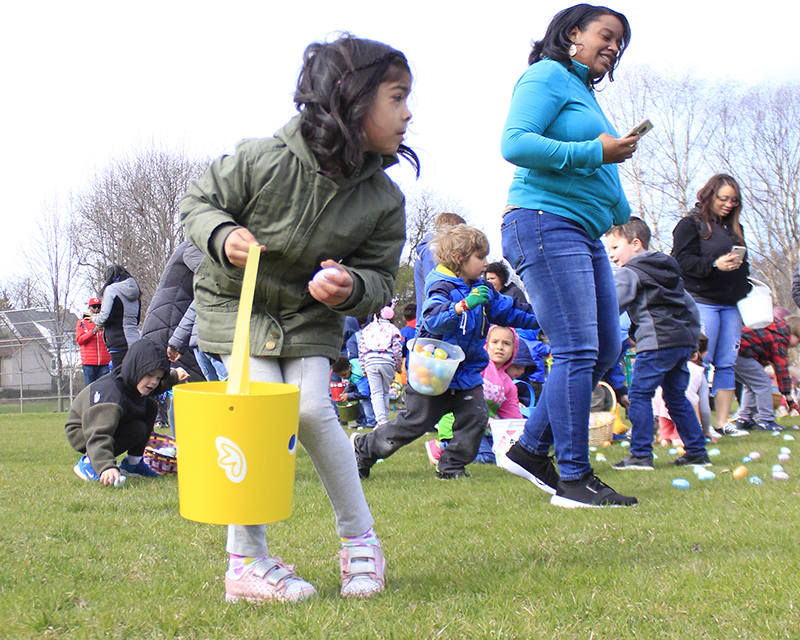 Families braved chilly 44-degree weather on Saturday, April 13, to participate in the annual Lucky Egg Hunt and Lucky Dog Egg Hunt sponsored by the Homewood-Flossmoor Park District.